The ongoing Focus has been around for more than 7 years at this point. Because of that the sales have been declining with up to 20% from 2016. 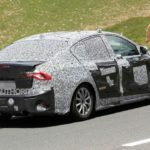 A new model has already been announced and even though the car is still under development, prototypes of it have been spied numerous times so far. 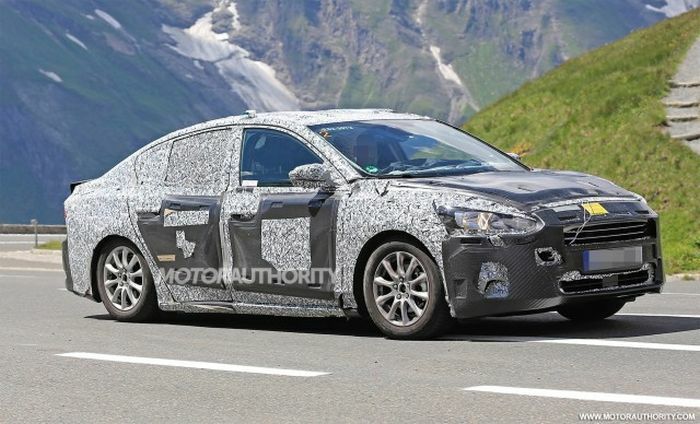 It looks like the new 2019 Ford Focus will be larger, better to drive, more powerful and more efficient than before. 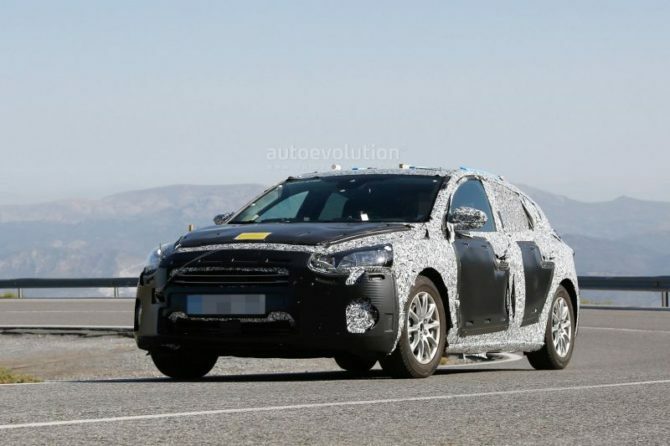 Despite the fact there is little official information about it, rumors and inside sources gave us a really good idea about the future car. For starters, the new Focus is going to be based on an entirely new platform. It seems this may be derived from the CD4 platform which underpins the Fusion. This would retain the fully independent suspension setup from before. However, it would give the car a longer wheelbase and a wider track. 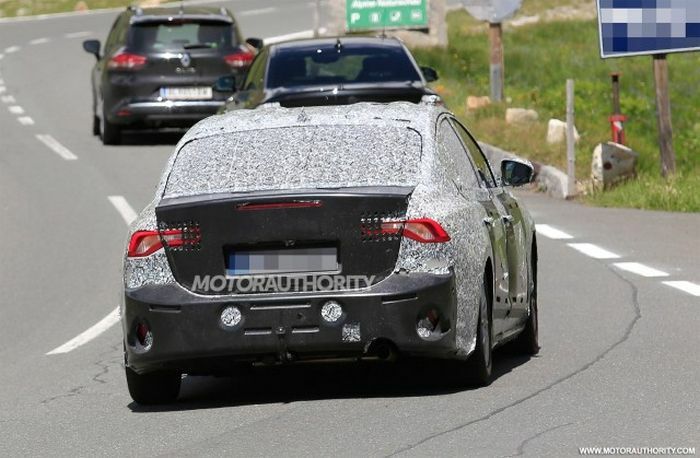 From the latest spy shots it also seems the car is actually larger, being quite a bit longer and wider than its predecessor. However, it also seems considerably lower but more on that later. The new platform should allow Ford to save up to 50 to 100 pounds from each car. The structural rigidity should also increase while the center of gravity is likely going to be lowered thanks to its shorter height. The end result will likely be a safer and better to drive car than before. 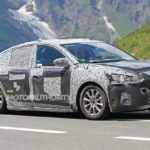 The European version of the 2019 Ford Focus is going to be made in Europe. 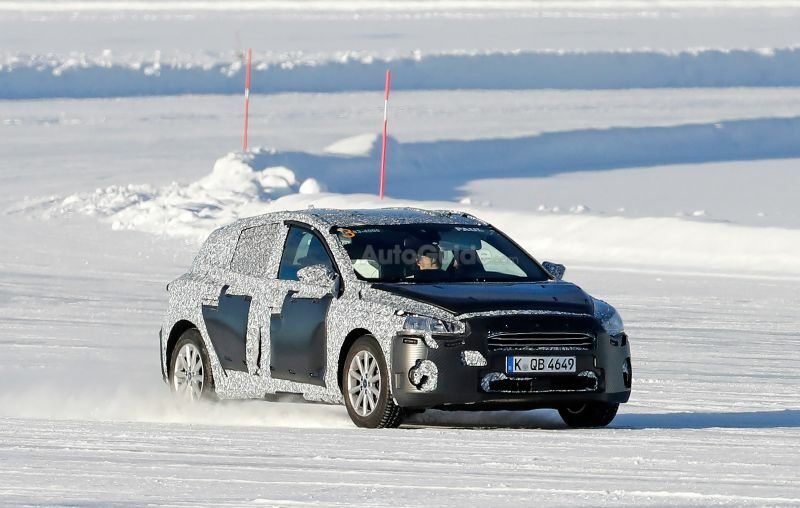 At launch Ford is expected to release the regular models as well as the high performance ST version. The US market, as well as the rest of the World, will get their cars from China. Ford will import them in order to save up to $1 billion. 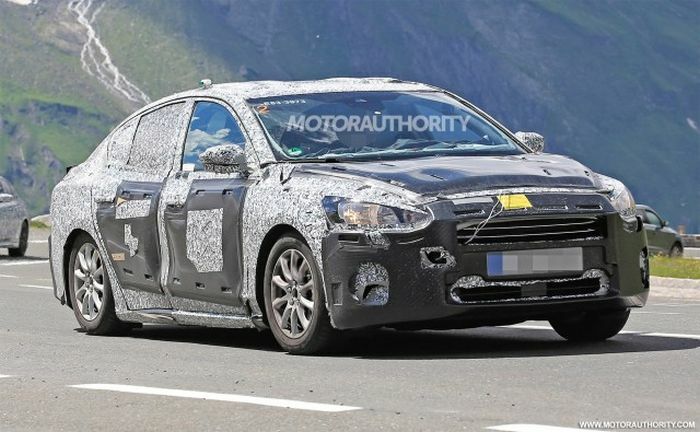 The only cars that are not going to be imported will be the ST and the future RS models will are still going to be made in Germany. The price is unknown but it is expected to increase slightly over its predecessor. 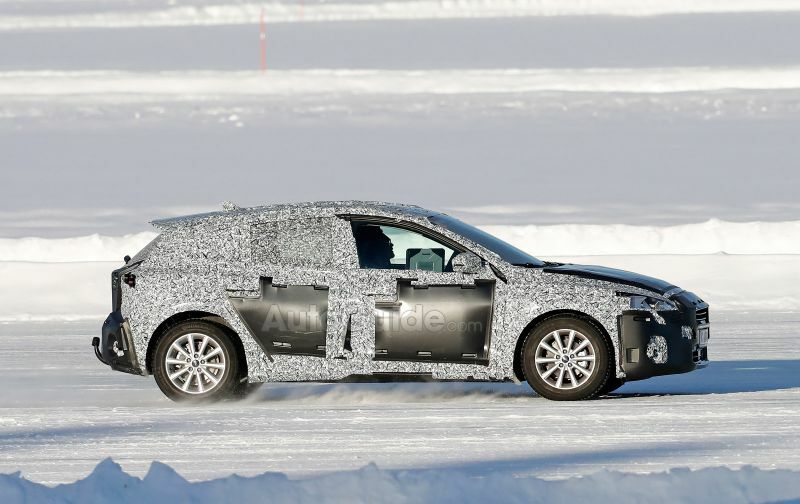 Various sources are dubbing the fourth-generation Focus as 2019 MY. We are together with them on this one. 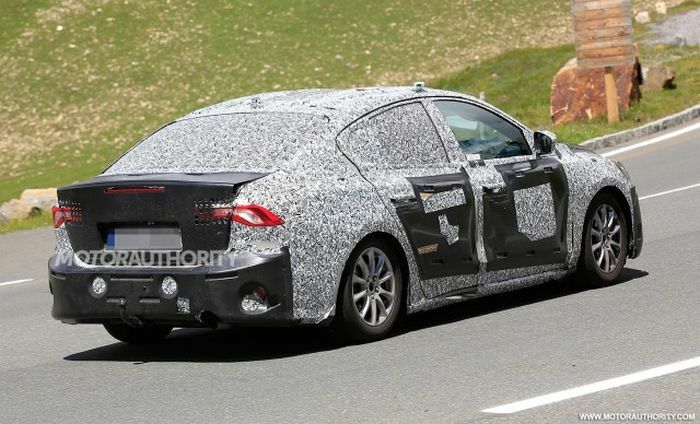 The long awaited next-gen Focus is in preparation for some time now, but the launch is not scheduled for this year. One of the oldest models in its class was first introduced, in today’s shape, during 2011. Its life cycle is long overdue and hence the prolonged testings of the upcoming model. 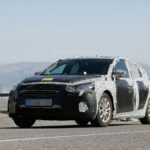 The vehicle will be launched both in Europe and the US during 2018. The exact date of release is entirely up to Ford, so stay tuned as we bring more news your way. Latest available information suggested 2018 NAIAS release. 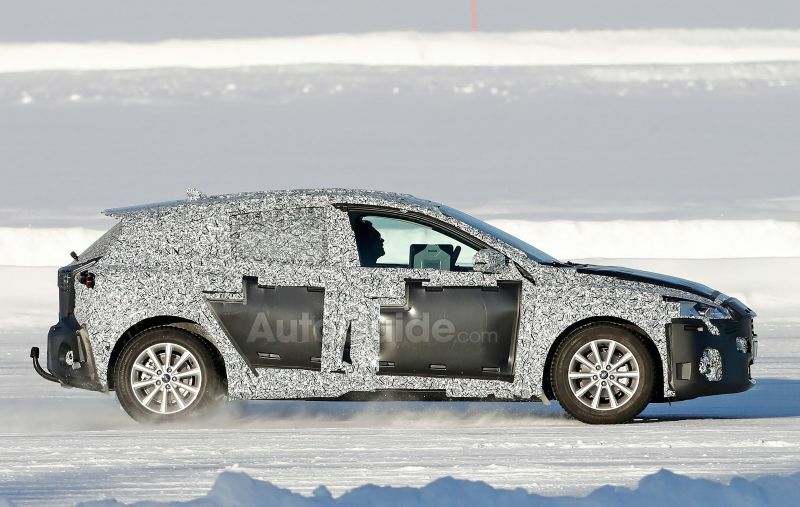 The price will be dictated by the market, competition, and of course, novelties brought to the world by 2019 Ford Focus. Just to put things in perspective, we will list the prices of the ongoing Focus models. The price for entry version recommended by manufacturer stands at $18,000; the Focus ST is $25,500; Focus EV stands at $30,000; the most expensive version of Focus is the RS which is priced at $37,000. 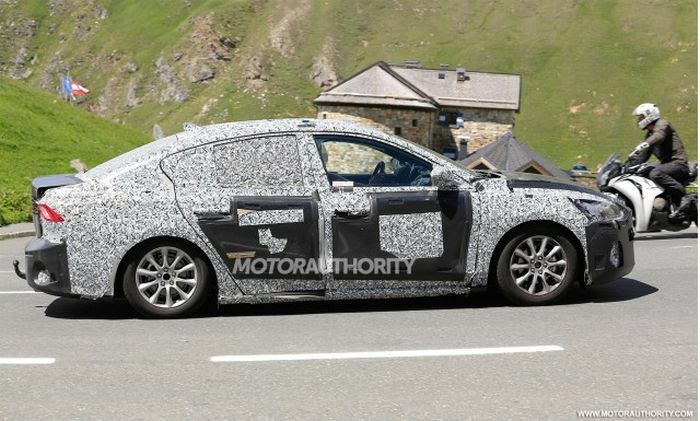 The new Focus has been spied numerous times with the first test mules being seen more than a year ago. 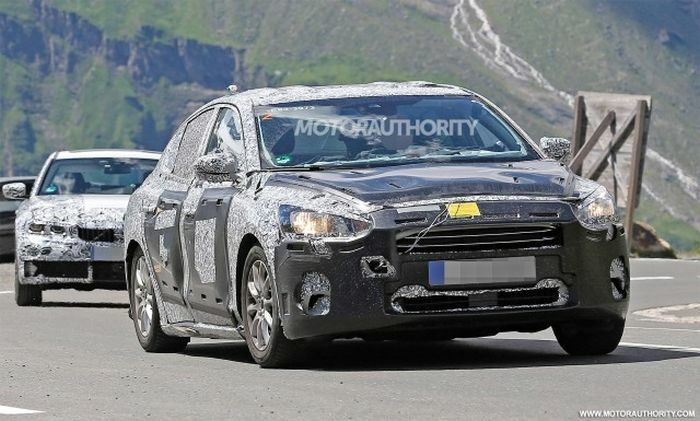 More recently its sedan version has been caught testing and it looks quite interesting. 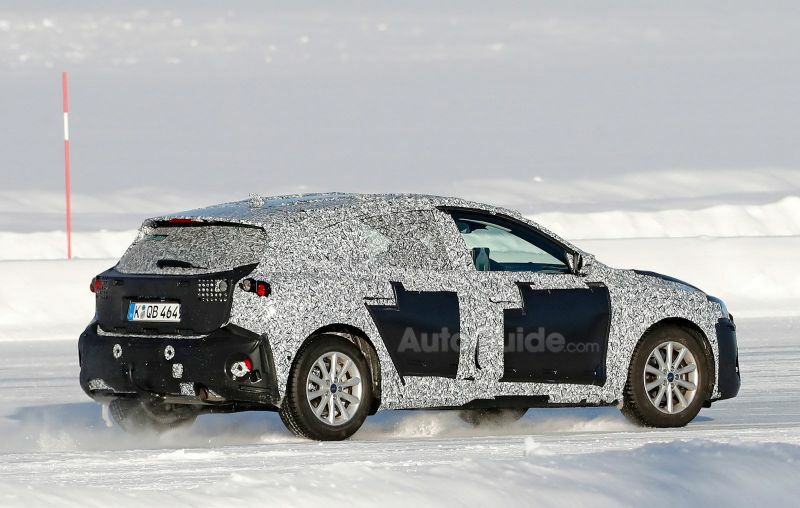 In the front, both the sedan and the hatch get a revised styling. 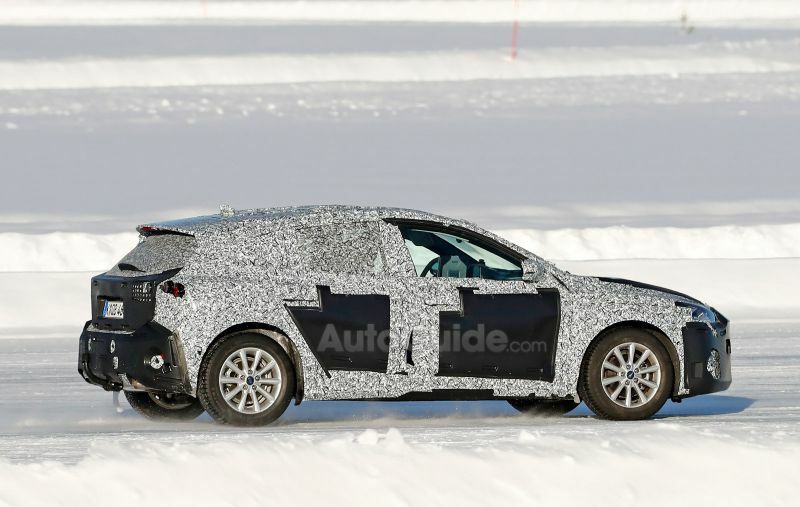 Here we can see clear influences from the new Fiesta but also from its predecessor. 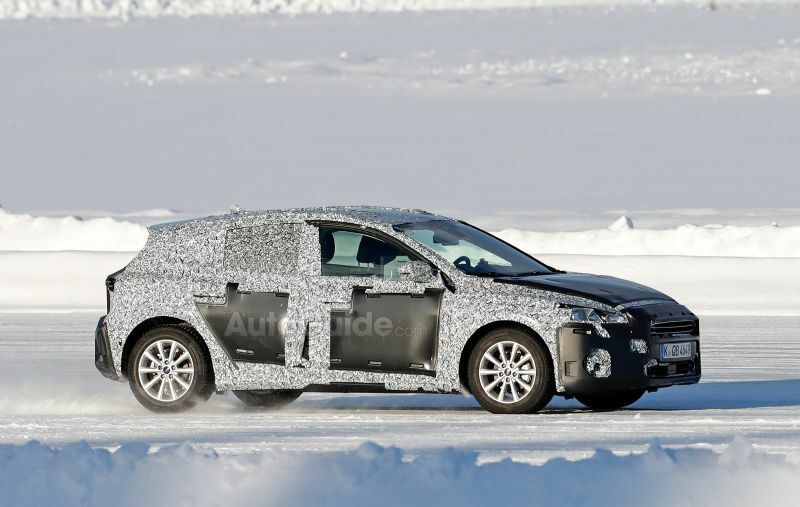 However, the car has a lower hood than before as well as a much slimmer grille. 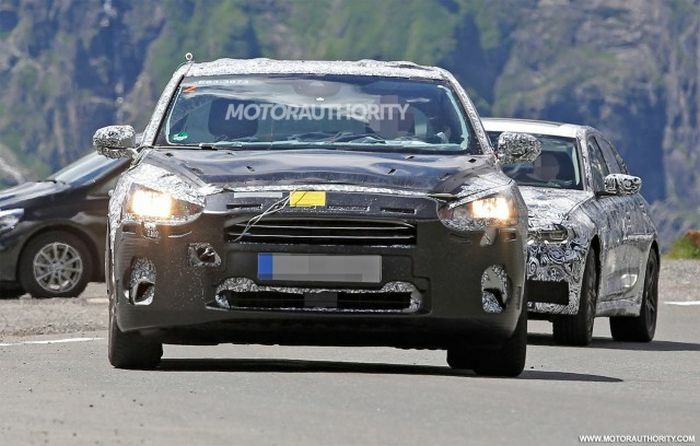 The headlights also seem to be slightly swept back while the new windshield angle gives it a slightly more menacing look. In the back it seems that both cars get roughly the same tail lights. 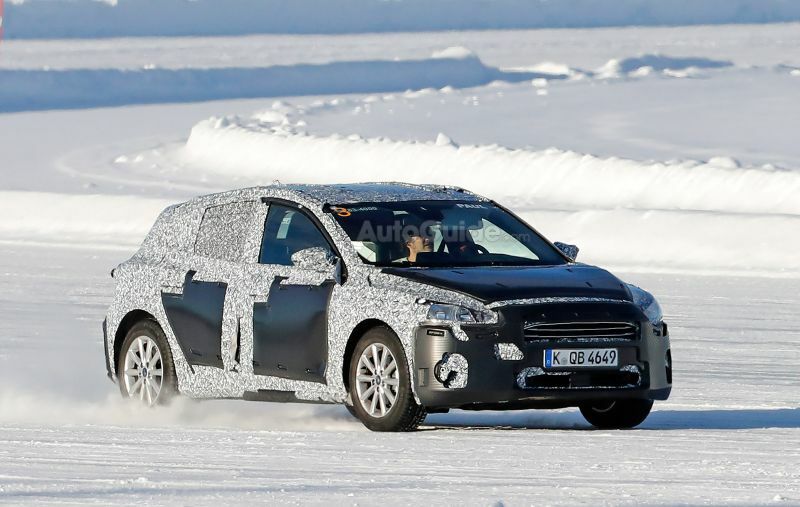 These use wide and slightly curved clusters which are unlike anything else Ford used so far. Both cars also get a sloping roof-line which may make the cabin of the car smaller than it needs to be. 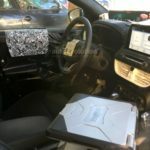 Even though the cars are still in development, the dashboard of the new 2019 Ford Focus has been photographed fully exposed. The design is actually remarkably similar to that of the new Fiesta which is quite surprising. The Focus boasts the same dashboard-mounted infotainment screen as well as a really similar center stack. The difference is that the Focus is wider and it seems to use much better materials than its cheaper sibling. The instrument cluster is a completely different story though. The prototype seemed to have a fully digital instrument cluster, similar to that found in the Mustang. If this is the case then also expect it to get the same fully customizable software as the sports car. 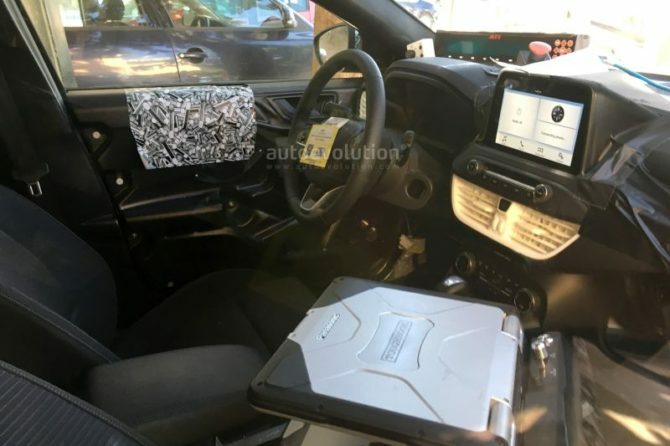 It is safe to assume the 2019 Ford Focus will come with the same EcoBoost engines found on Ford’s other vehicles. The base version will likely get a 1.0 liter turbo-three good for up to 125 horsepower. A larger 1.5 liter turbo-three should also be made available. 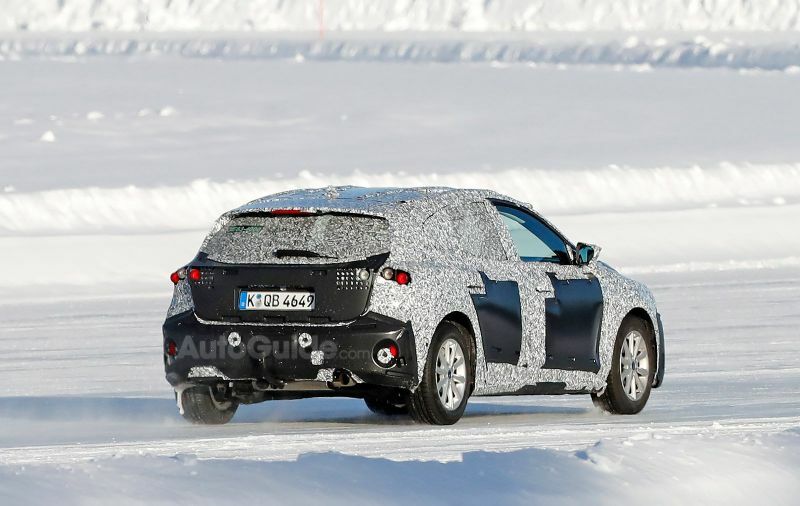 This is a new unit which is expected to offer between 150 and 200 horsepower. 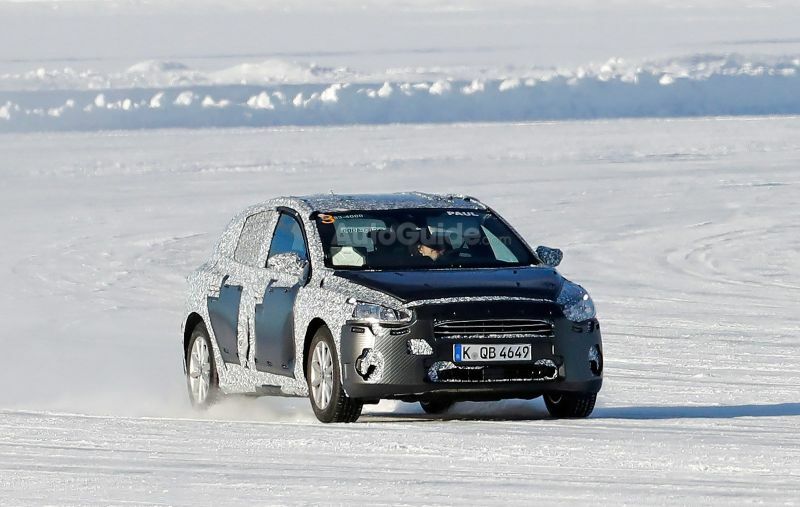 A set of diesel engines, likely a 1.5 and a 2.0 liter turbo-four, are going to be available too. These should offer between 90 and 180 horsepower. 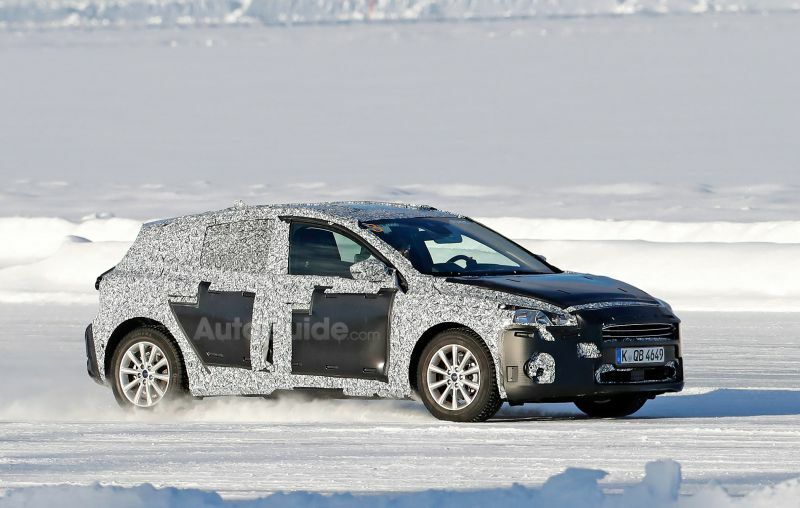 The ST model is expected to receive a 2.0 liter EcoBoost with north of 260 horsepower and 260 lb-ft of torque. All models will get a manual as standard, at least in Europe, while an automatic will be an option for sure.